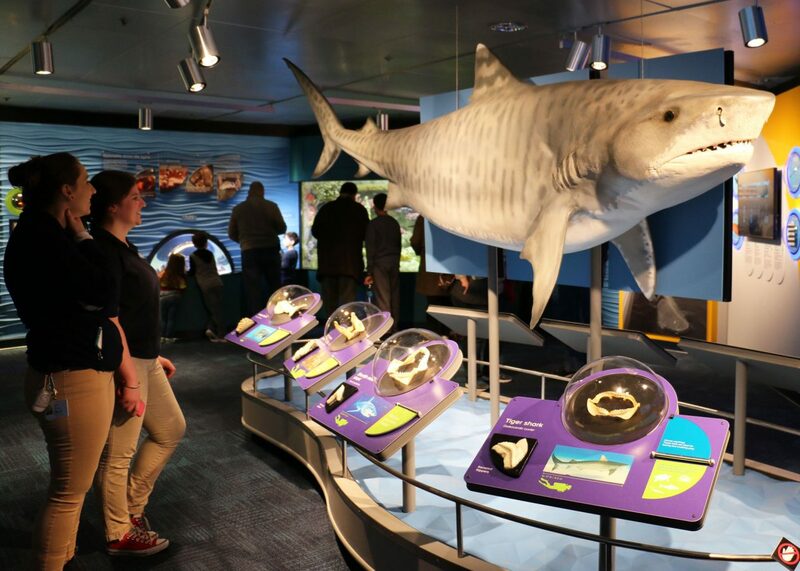 Get ready to dive into our newest exhibit: Science of Sharks! 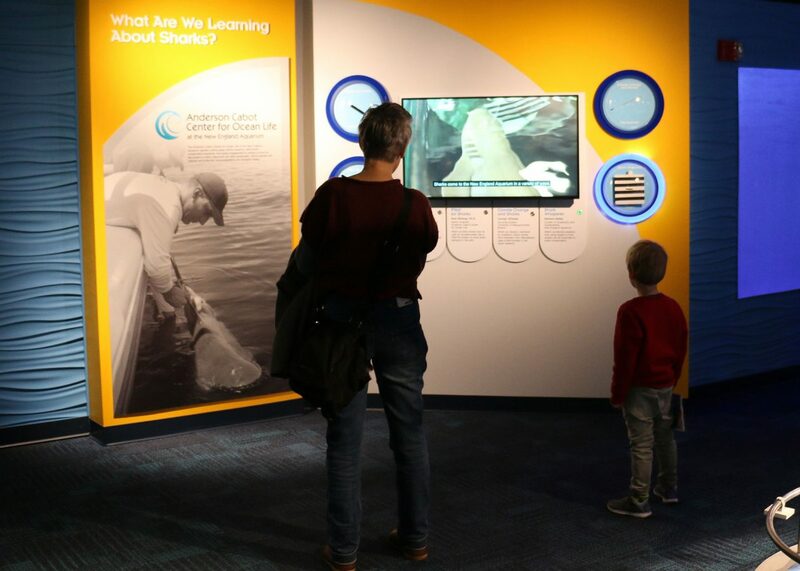 Our new exhibit dives deep into the world of sharks with piles of juicy shark facts, interactive displays, engaging interviews with our scientists, stunning video and images by National Geographic photographer and Aquarium Explorer in Residence Brian Skerry, a wild variety of shark species from around the world, plus one incredible selfie opportunity with our model tiger shark (just no selfie sticks, and don’t forget to tag #ScienceofSharks when you share on social). Let’s dig in and see what awaits you for April school vacation! The model tiger shark features displays that highlight the remarkable diversity of shark teeth. Selfie anyone? Bet you didn’t know that different sharks species reproduce in different ways, or that some sharks lay eggs! This portion of our exhibit displays the different stages of development for coral catsharks and epaulette sharks, from egg cases to wee shark pups to full-grown adult sharks measuring 2 or 3 feet long, teeming over an artificial reef. 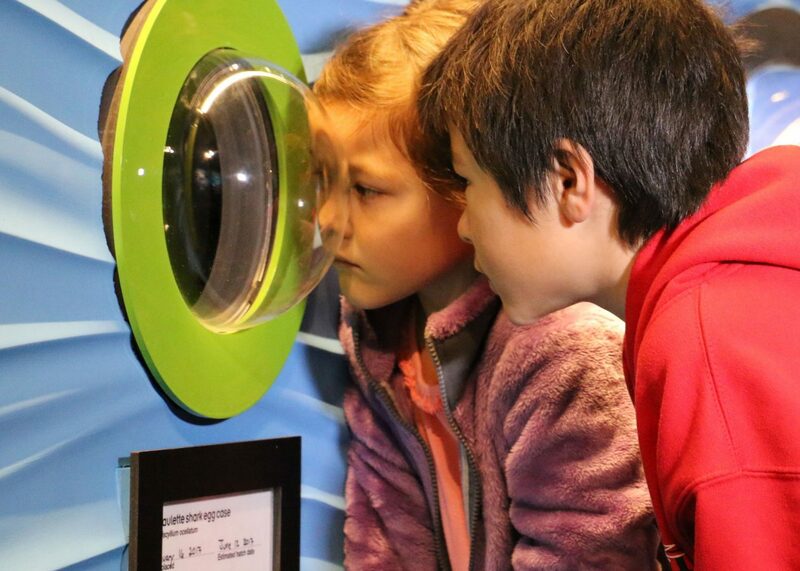 Young visitors watch a developing shark wiggle in its egg case in the first display. 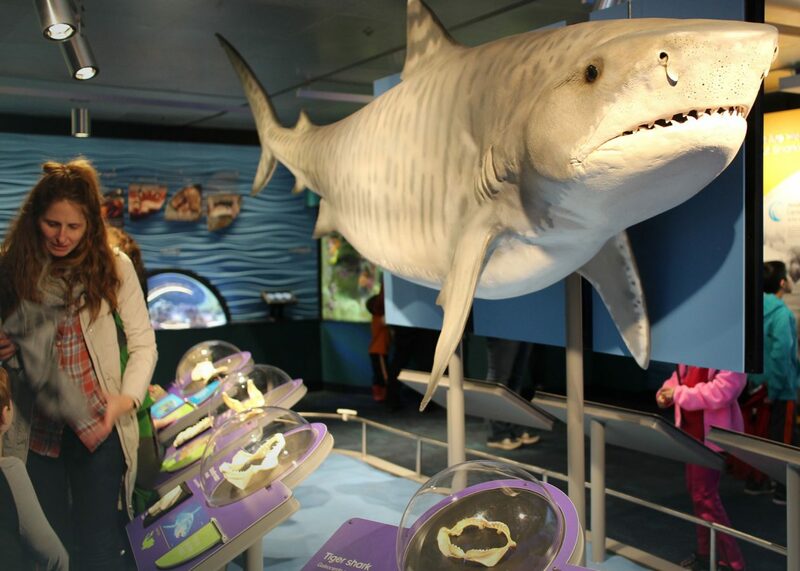 The life-size tiger shark model is the exhibit’s centerpiece, not only because of its impressive size and thrilling detail, but also because around this model are several engaging displays that teach shark anatomy. Compare shark teeth and jaws and consider how each set of teeth helps different species nab specific kinds of prey. Plug into custom animated videos to learn about a shark’s sixth sense, their sleek skin, and fabulous fins. One side of the shark model features many different varieties of shark teeth and jaws. 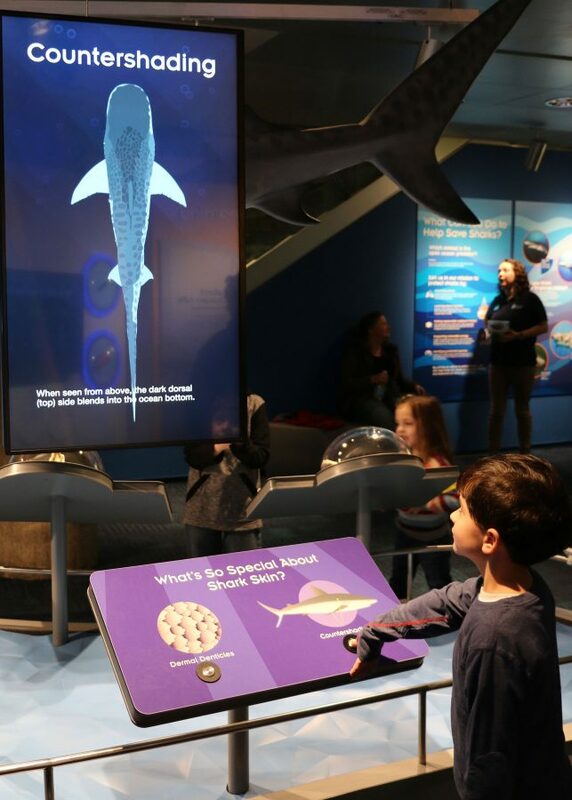 On the opposite side of the shark model, large screens delve into shark anatomy at the touch of a button. Don’t miss the fascinating interviews with our researchers at the Anderson Cabot Center for Ocean Life. They explain how technology is helping them discover where sharks range in the ocean, and how they’re faring in changing conditions. Hear how the Aquarium is working to train sharks to swim into a sling, a skill that can help with the shark’s medical care and transport. Visitors of all ages can get sucked into the engaging interviews with our researchers. 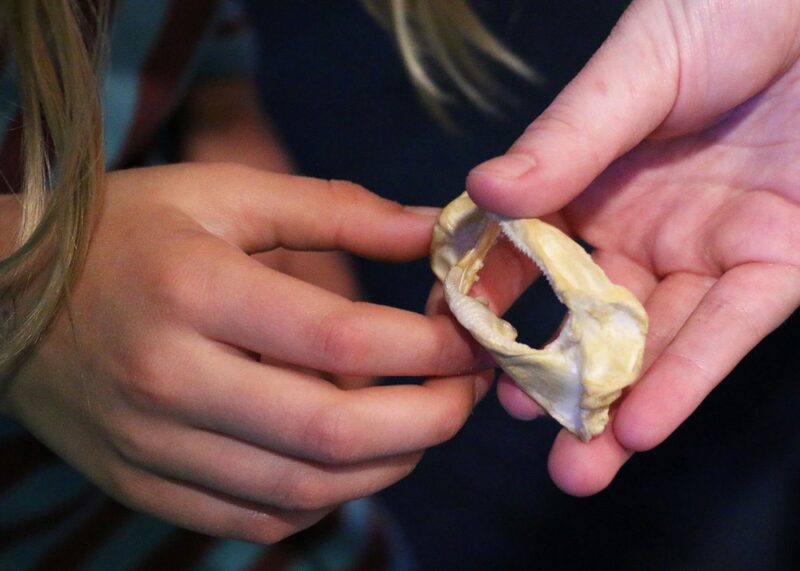 Educators are always on hand to answer questions or inspire them with cool biofacts like this shark jaw. 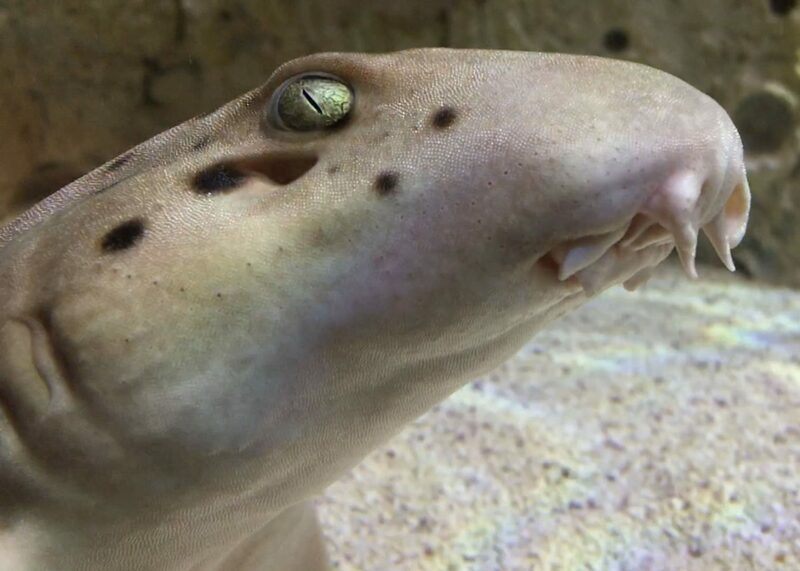 Just steps away from The Trust Family Foundation Shark and Ray Touch Tank, where you can actually reach out and touch a shark or stingray, our new immersive exhibit lets visitors explore bright exhibits crawling with diverse shark species (literally, ever heard of a Halmahera walking shark? 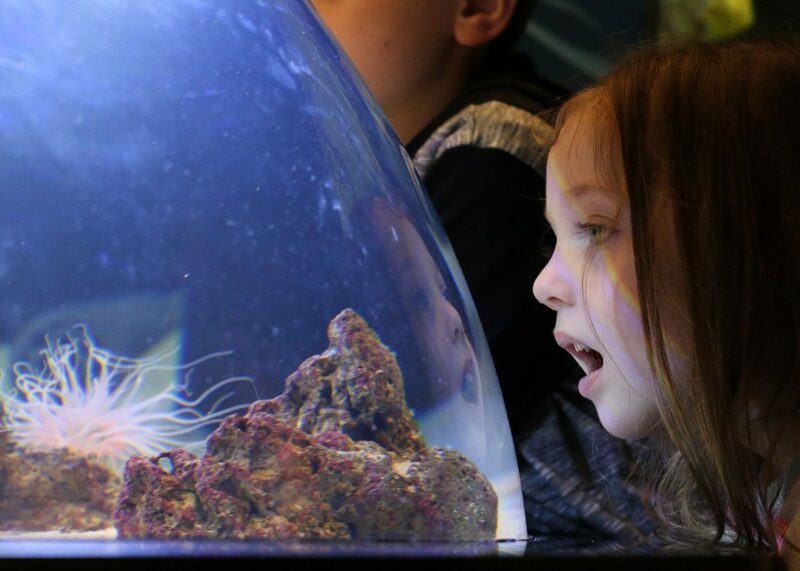 ), engaging videos featuring researchers with the Aquarium’s Anderson Cabot Center for Ocean Life, watch developing shark pups wriggle in their eggs, and more. Come geek out on the Science of Sharks! It’s incredibly cool, and immersively nerdy.